Hideki Masui is Executive Officer and Deputy Chief Nuclear Officer of Tokyo Electric Power Company Holdings (TEPCO). His responsibilities are corporate planning, organizational development and human resources development. He joined TEPCO in 1989. Since then his professional experience has been diverse. He started his professional career at Fukushima Daiichi Nuclear Power Station as a chemical engineer. From 1994 to 1996, he pursued mater’s degree of nuclear engineering at Massachusetts Institute of Technology. His main academic interest was probabilistic risk assessment. 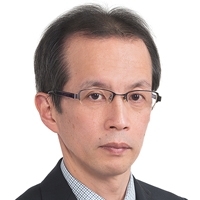 After returning to TEPCO corporate office, he was involved in nuclear fuel cycle issues and became a prominent professional in the field of radioactive waste management. In 2005, he took new position of the engineering manager at Kashiwazaki Kariwa Nuclear Power Station. It was during his tenure, 2007, when the massive earthquake hit the site. In 2009, he was appointed as the seismic research manager to restore the quake-hit plant. Since Fukushima Daiichi Accident occurred in 2011, he, as the safety research manager, had been leading the project to gain the local understanding and restart Kashiwazaki Kariwa, which was shut down due to safety upgrade work.